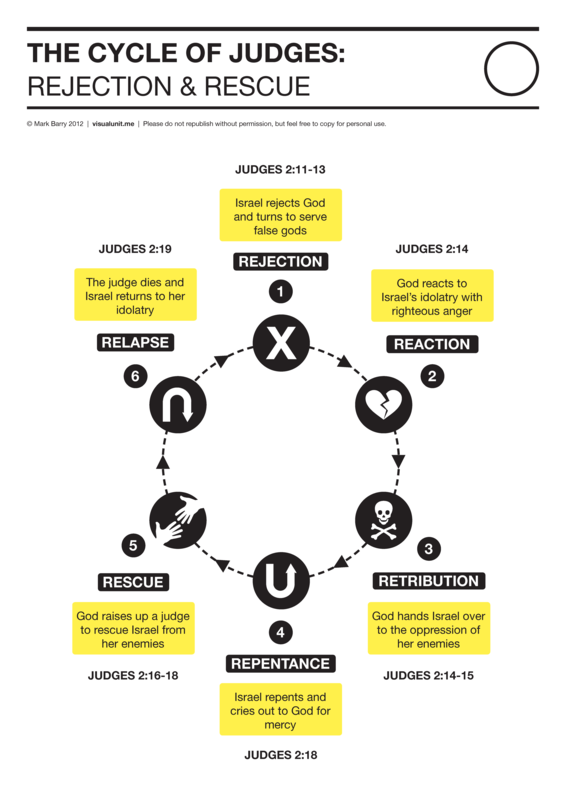 FROM THE ARCHIVES: the cycle of Judges from rejection to rescue and back again (Judges 2:11-19). PDF version (152 KB). This entry was posted in English and tagged Judges, Old Testament. Bookmark the permalink. Thanks Jonny for the suggestions. I reckon I’d be happy to go with “retribution”, but I’m not 100% sure about “rage”, as it suggests God’s anger is out of control. But I’ll have a think about some alternatives. Thanks!